Morocco doesn’t have the coffee culture that a lot of Middle Eastern countries do. Coffee is almost never a breakfast drink though it’s common to see men drinking espresso beginning mid-morning. Here drinking coffee means pulling up a chair in a cafe and sitting for awhile. You’d never see a Moroccan standing at a bar and drinking coffee, nor would you see them walking with a cup of coffee in their hand. When Starbucks opened in Marrakech I was beyond excited that I could get a giant cup of coffee (by giant I mean over 6oz) and that I could take my giant cup to go. There are two basic types of coffee that you can order in cafes. It’s either cafe noir or nous nous. Cafe noir is essentially a small cup of espresso. It’s most typically ordered by men who want a coffee. Nous nous translates to half and half. It’s half milk and half espresso and most typically ordered by women. I have no idea why this is but it’s totally possible to order either one no matter what your gender. Moroccan coffee shop culture is a male realm. Visitors often comment on seeing shops around the country full of men sitting and chatting while enjoying a coffee or tea. This doesn’t mean women don’t have their own rituals – they do. You just won’t see them unless you go to someone’s house. Culture dictates that women shouldn’t be out sitting in cafes, though this is slowing changing with younger generations. Don’t think that women miss out, it’s quite the contrary. Women do gather and often look forward to an invitation to a friend’s home for “coffee time.” This typically happens in the late afternoons, sometime between 5 and 7pm. So if you want to make your own nous nous how do you do it? It’s really simple! 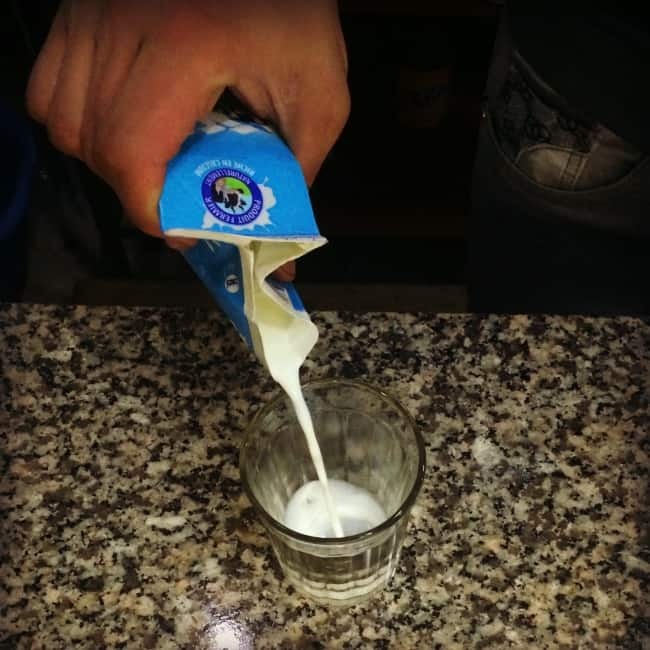 Start with a glass of milk and fill your cup about 1/2 full. Next use the frothing mechanism on an espresso machine to foam the milk until it comes up over the lip of the glass. Pack and prepare espresso as you normally would. Allow espresso to drip into the cup of milk. Serve with a few sugar cubes on the side if you want to sweeten it up! Remember coffee here isn’t something to be guzzled down. It’s meant to be savored. Slow down. Take your time. Watch the people pass. Nice article and informative comments. I was introduced to nusnus by a male friend! 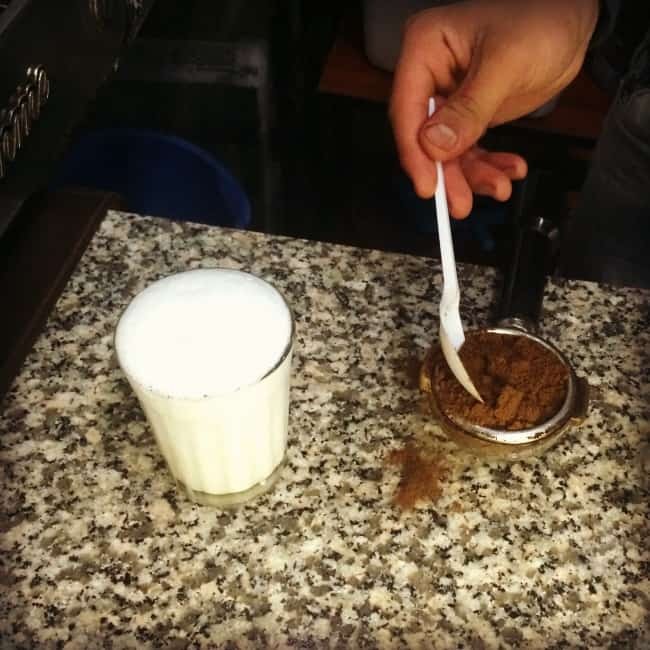 Your method doesn’t explain how they keep the milk and coffee separate in a cafe but in Tangier nusnus is called café maqluba. If I remember rightly ordering nusnus in Tangier gets you café au lait! I agree with Mary about coffee with herb flavouring. Definitely an acquired taste. I’ve had sage with coffee in the south (and also in tea). I’ve seen home-made coffee sold at souks with dried sage. I suspect the sage was added to give it some flavour. 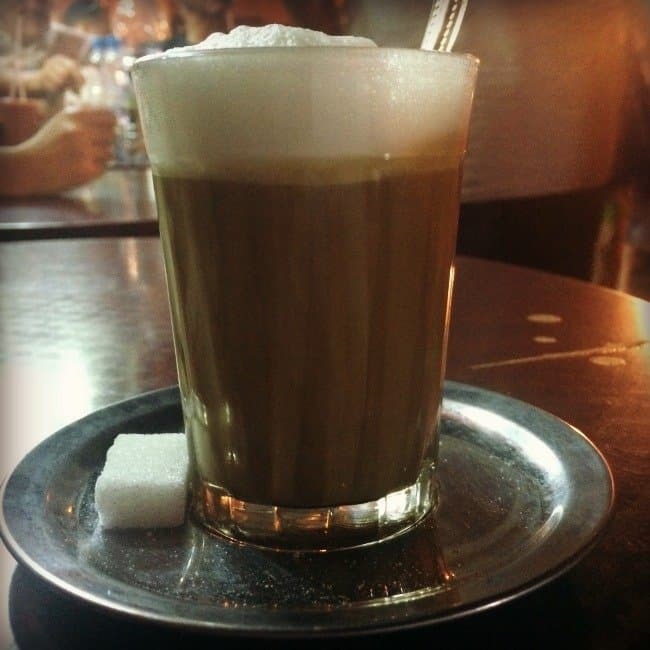 Well I think it varies a little city to city – in Marrakech it gets you half milk, half coffee. When I watch it made the milk is frothed first and then the coffee added second – it’s heavier so sinks to the bottom. 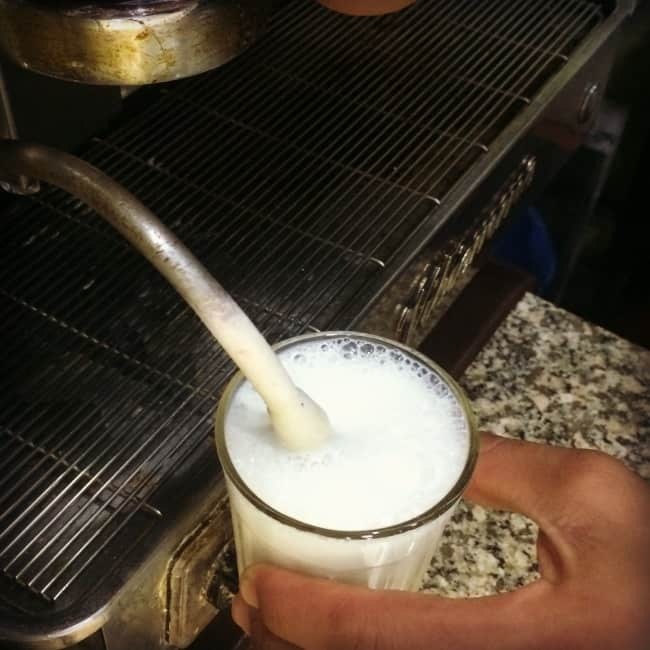 I just wanted to also remark that my husband and his family (from Marrakech) MUST have their ritual milk coffee every morning at breakfast as well as every afternoon (or rather end of ). My sister in law even asked me to bring her a decent (leak-free) travel mug, to be able to bring her coffe to work! The only inconvenience they find (as I’m not a coffee drinker myself) is the quality of the coffee in Morocco, we have to bring them or send them “quality” one from Europe. My husband’s family drinks coffee every morning, as do some of my friends. They are both acquired tastes, but amazing. 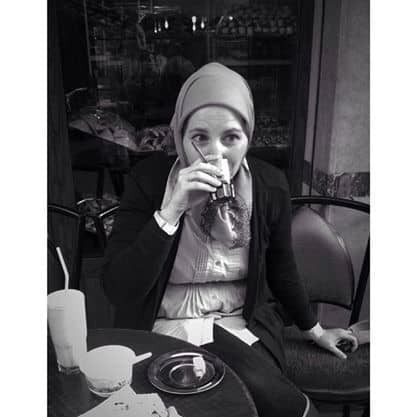 In many cities, women go to cafes too. You’ll often see them upstairs (or not sitting outside), or in “fancier” cafes but it’s becoming more and more acceptable all the time. Just because you don’t see them as obviously when you walk by doesn’t mean they aren’t there. Men drink ns-ns coffees as well, and women drink black coffee. 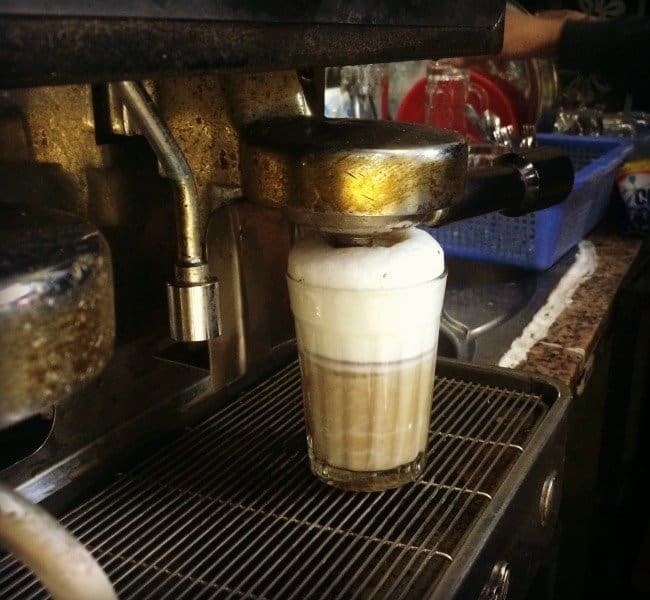 Other popular coffee drinks are coffee with milk (“qahwa u hlib” more milk than in a ns-ns, more similar to a traditional latte), “broken” coffee (“qahwa mherris) is espresso”broken” by milk– just a splash; similar to a cafe macchiato in Italy), or for those who really don’t like espresso but want to look like they are drinking coffee, broken milk (“hlib mherris” – steamed milk with a splash of espresso, like a latte macchiato in Italy). It’d be fun to do a little infographic for these. I guess the women thing depends where you are because it’s still very uncommon to see Marrakechi women in cafes. Restaurants/snack shops yes they are but otherwise no, and I visit lots and lots of shops – and do more than just walk by. I don’t think I said in the article and I’ll correct it if I did that women ONLY drink nous nous and men ONLY drink black coffee, it’s just what is more common. Thanks for adding the others to the list! My 96 year old grandmother does drink coffee every morning for breakfast. Coffee actually is a breakfast drink in Morocco, breakfast even is often referred to as ‘drinking coffee’. The afternoon coffee is usually served together with tea so people can choose what to have. If there are no ‘special’ visitors there’s usually only tea served. You should also try, if you can find it the black coffee with pepper and cinnamon, it’s really good.